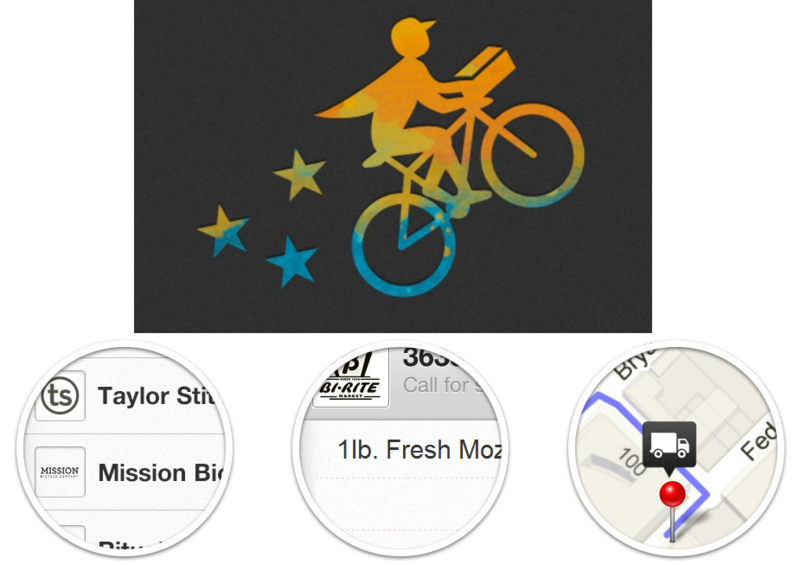 Delivery service app Postmates is bringing its new app, Get It Now, out of beta today. 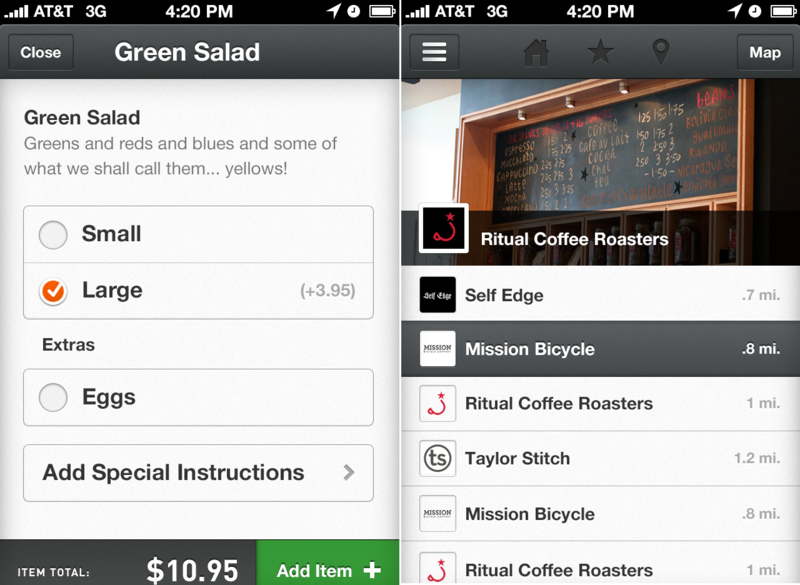 The app has been in private testing since mid-April, and now it will open up shop to the rest of San Francisco. The service is a natural extension of Postmates, an app for hand deliveries that makes the process infinitely simple: list item, include picture of item, enter your address and the destination, and you’re done. The idea was to take as much of the middle men out of the equation as possible, relying on professional couriers to get the job done. And according to co-founder and CEO Bastian Lehmann, very early on customers were asking for more. “They pinged us immediately from the start, asking if they could purchase something and have it delivered,” he tells me. “We were giving them delivery service without the difficulties: you don’t have to negotiate prices, don’t have to hire your own couriers. You just press a button and someone will come and take an item to your customer.” Turns out, they wanted to same experience not only for delivery things, but for having them delivered. Thus, Get It Now was born. The Postmates teams decided to outfit the fleet of couriers with prepaid debit cards, and the user feedback has been glowing – and growing. Lehmann says Get It Now is being used to deliver items worth hundreds of dollars and has more than 1,000 users. Over the past month, the Get It Now beta app has been refined so that it now includes menus from popular vendors and users’ favorite stores for easier selecting. It’s a refreshingly simple app that focuses on the getting in and getting out. “The most exciting part of what we’ve built is that we’ve entirely unlocked the city’s local inventory. Our goal is to provide an Amazon shipping experience with same day delivery, from any store in the city. Think of Get It Now as the largest warehouse in the city… with no warehouse at all,” as he puts it in the company’s press release. 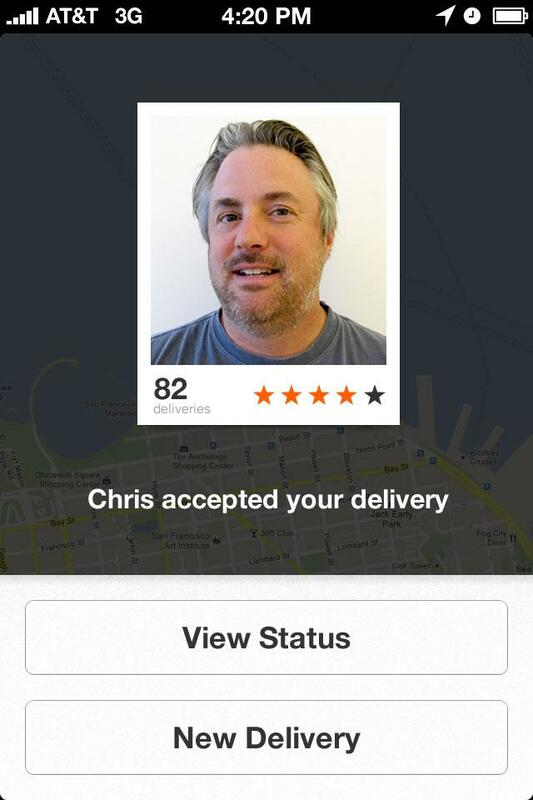 For now, Get It Now and Postmates are only available in San Francisco, but when asked about expansion Lehmann says he “totally” wants to take it elsewhere. “We want to go to Europe at some point… we don’t want someone to clone the idea there,” he says. For now though, the team is focused on continuing to build a brand that people love.